Johnmol Cycling Club founder Karabo Moletsana says most women seem disinterested in joining the cycling sport. Out of 28 athletes found in his club, only four are women. Moletsana was speaking on the side -lines of a new partnership deal between Johnmol Club and a locally based auditing firm (KPMG) recently. KPMG has offered to sponsor a youth development team from Johnmol Cycling Club and all four of them are male. KPMG will be paying for meals, transportation and registration fees, for the four young cyclists. The athletes are expected to compete in a road and mountain biking events throughout Botswana and across the region. The sponsorship deal will last a year. The cyclists are Kopano Kgosibodiba (18), Letlamoreng (17), Kitso Moseki (15) and Matlhogonolo Bolokwe (17). 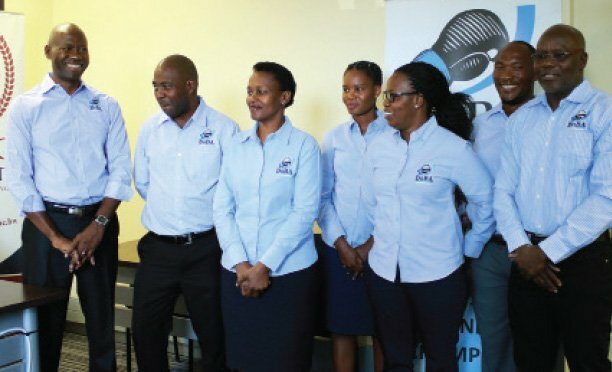 Moletsana said during their selection processes for the beneficiaries of the sponsorship, they could not find any suitable and dedicated women cyclists. He said the situation was worsened by the fact that his club is male dominated. Moletsane lamented their struggle to get women to be active in cycling adding that even the four found in his club are not consistent at all. Nevertheless, he expressed hope that they will be looking to recruit more females to the club so that they can at least compliment each other. “They need competition so that they can move away from their comfort zones and have motive to bring out their talents,” he said. One of the reasons he cited for having a low female turn out was that women perceive cycling as a dangerous and physically demanding sport. According to Moletsane, the majority of women distance themselves over fear of falling off the bike especially during mountain biking. Senior Consultant with KPMG Alexander Moss said he was aware that there are groups of female cyclists out there and its one of their areas of focus at their firm. Moss said they would soon have talks with clubs because their intention is to also sponsor a junior female team in the future. Reached for comment, Botswana Cycling Association (BCA) president Mmetla Masire said they are disturbed by the low female participation in cycling. In terms of competitive cycling, only a quarter of the cyclists are females, at administrative level there is only one female representative. Masire explained that it is sad because women are forced to pull out because of different reasons ranging from safety and men intimidation. “Women do not feel comfortable cycling alone, they fear being hit by cars or even being attacked by criminals. Nevertheless we are working around the clock to give them the necessary assurance that their lives will not be compromised,” he said. The BCA president revealed that they have now set the ball rolling and currently BCA youth structures have been witnessing the rise of young girls showing interest in cycling. For her part, the only lady found in the current BCA Executive Committee Game Mompe who is also from Tsela Riders Cycling club said cycling is an emerging sport in Botswana however women are slowly developing interest and accepting it as a fun sport. She explained that women are normally not active in sports because of their motherly duties they are tasked with in their homes. “We have over 10 women cyclists at Tsela Riders and I can assure that that number will rise with time,” Mompe said.